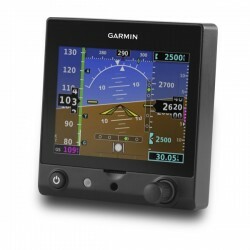 Designed by Garmin’s dedicated “Team X” engineering group specifically for the experimental amateur-built (EAB) and light sport aircraft (LSA) markets, the affordable G5 electronic flight instrument delivers exceptional performance, reliability and ease of installation as an all-in-one backup or primary “glass cockpit” display. The crisp, sunlight-readable 3.5” LCD fits into a standard 3-1/8” round cutout, taking up just a fraction of the space and weight previously required by conventional gyro-based instruments. G5 has 2 pilot-selectable main page formats: a PFD page and a DG (directional gyro) or HSI (horizontal situation indicator) page. VHF or GPS navigation inputs are required to drive the HSI display; for GPS interface, an optional GAD™ 29 navigation data adapter is required. By combining visual cues and data readouts once scattered across a myriad of instruments, G5 makes flight information easier to scan — so pilots can respond more quickly and intuitively to any inflight situation. - Bright, sunlight-readable 3.5” LCD color display, sized to fit standard. 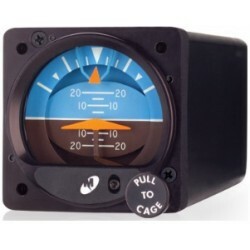 - Can be used as a primary EFIS attitude indicator or DG/HSI display — or as a fully integrated backup flight instrument for G3X™, G3X Touch™ or other Experimental/LSA glass cockpits. - Provides standalone or backup autopilot control, allowing coupled GPS approaches to be flown or continued in the event of a primary display loss. - In case of aircraft power loss, optional battery backup sustains G5 flight display with up to 4 hours of emergency powers. - Dual G5 installation offers reversionary display capability plus the added redundancy of dual ADAHRS and dual back-up batteries. - When configured as a primary attitude indicator, G5 uses solid-state AHRS reference to provide smooth, steady and reliable horizon-based pitch and roll indications. In addition to aircraft attitude, G5 will also support display of airspeed, altitude, vertical speed, slip/skid, turn rate, configurable V-speed references, barometric setting and selected altitude — as well as visual alerts upon arriving at a preselected altitude. A built-in GPS receiver and antenna (with an option for external GPS antenna connection) provides highly accurate groundspeed and ground track readouts. Plus, a dedicated rotary knob on the unit allows for easy adjustments to altitude bugs and barometric pressure settings. - To provide even more situational awareness, the G5 instrument can also function as a DG or HSI in your panel. 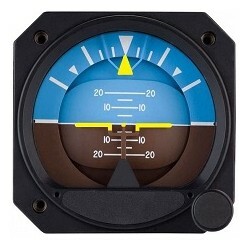 When paired with an affordable GMU 11 magnetometer and select VHF Nav/Comms or GPS navigators (interfaced with optional GAD 29 navigation data adapter), G5 can serve as your primary reference source for magnetic heading, VOR/LOC guidance and/or GPS course guidance — as well as providing distance and groundspeed indications. The unit displays both vertical and lateral GPS/VOR/LOC course deviation when available (additional equipment may be required). And you can use the G5 instrument’s rotary knob to easily make and adjust course selections — or to control heading bug settings in DG installations. Because the GMU 11 is connected to the CAN bus network, a single magnetometer can supply heading information to 2 G5 units simultaneously. - By installing dual G5 displays in your panel, you not only gain dedicated instruments for attitude reference and directional gyro/HSI guidance — you also gain the advantages of backup redundancy with dual ADAHRS and reversionary display capability. In such installations, a secondary G5 can revert to display attitude information (consolidated with heading indication) in the unlikely event of a failure in the primary attitude indicator position. For added “get home” protection, each G5 display is available with an optional backup lithium-ion battery, which can provide up to 4 hours of emergency operation in case of an aircraft electrical outage or shutdown. 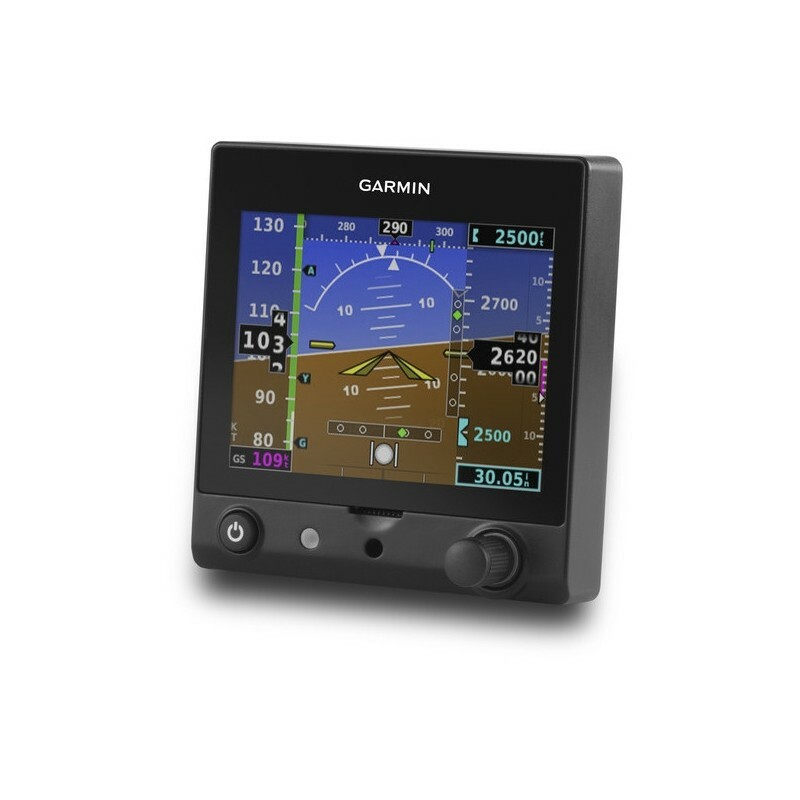 And if you use one of Garmin’s aera® series aviation portables¹ as a backup, you can fly with battery-powered moving map navigation guidance — as well as the G5 instrument’s flight display information — to make that aircraft electronics outage virtually a non-event. - When used as a backup instrument for your G3X, G3X Touch or other compatible glass display system, G5 provides a full range of supplemental EFIS capabilities. So, if needed, it can be used to maintain the majority of your flight display and autopilot control functions — including the ability to fly coupled GPS approaches. G5 will also provide backup ADAHRS reference to the primary displays. So whatever happens, with a G5 electronic flight instrument in your system, you can count on a wider range of options in virtually any shutdown scenario. - G5 may be installed with a GMC 305 or GMC 307 autopilot control panel and up to 3 GSA 28 smart servos to perform as a standalone flight instrument with integrated autopilot functions. In addition, the GTN™ 750/650 series2 (and legacy navigators2) or a Garmin portable GPS such as aera 660, aera 795 or aera 796 may be connected to the serial port on G5, enabling the autopilot to couple laterally to the flight plan and vertically to support VNAV descents to pattern altitude. Other lateral and vertical autopilot modes selectable from GMC 305 or GMC 307 include heading, pitch, roll, altitude hold, vertical speed hold and airspeed hold. 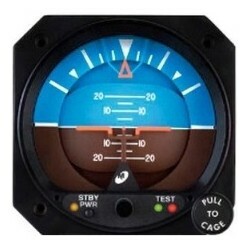 Even the control panel’s level (LVL) mode button is supported to engage the autopilot and restore the aircraft to level flight at the press of a button. - A highly flexible and scalable solution designed to fit a broad range of panels and configurations, the G5 electronic flight instrument brings new levels of confidence and situational awareness to your experimental/light sport cockpit. For added peace of mind, your EFIS investment is covered by Garmin’s industry-leading Garmin warranty — and backed by Garmin’s No. 1-ranked product support team. For specifics and pricing on the G5 system for your aircraft, see an authorized Garmin installation center. - Compatible with both 12 (.25 amp draw) and 24 (.125 amp draw) volt systems. - Displayed information results from its built-in AHRS, GPS antenna, and through its pitot-static connections. - Screen may be switched between Attitude and HSI. However, to use HSI information for navigation purposes, the G5 must be connected to an approved GPS source.